When Alex awoke in the middle of the night crying out, “Daddy, Daddy, Daddy,” I mentioned yesterday that I RUSHED to his bedside to let him know I was there with him. And that is what God does when we as His children cry out to Him. But I also spoke to Alex and let him know that I was there. If I had been silent, it might have creeped him out worse. Or he may not have realized I was there because he was actually dreaming and not truly awake. So, I responded to his cries with words of comfort. 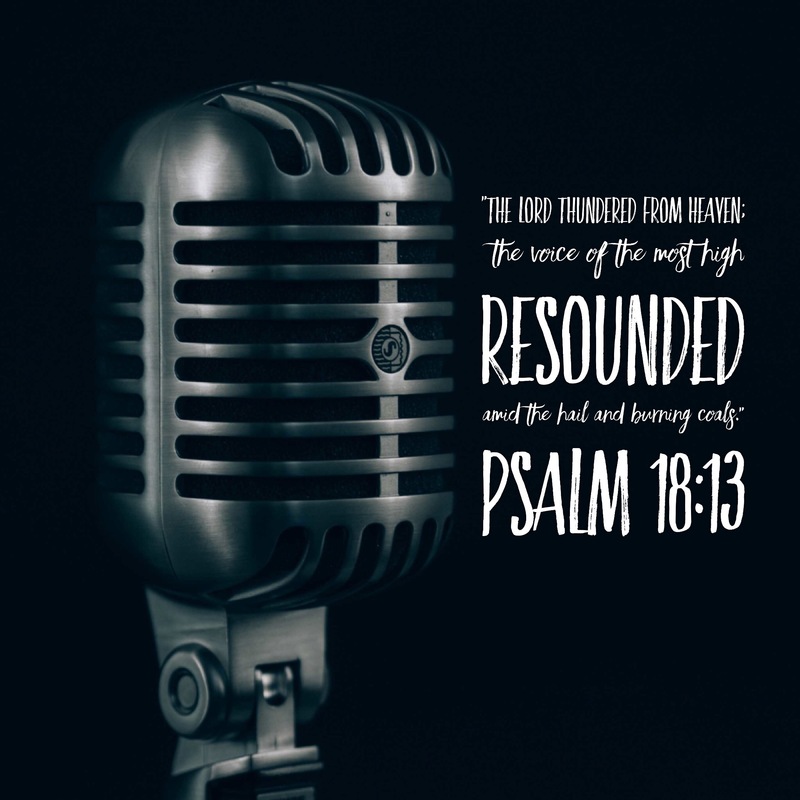 God makes sure when He speaks to us in the middle of our distress that it fills our situation… that it is loud enough for us to hear… and that it makes a strong impression or has a great effect on us and those around us. This is what happened when Jesus spoke to the wind and waves when He was in the boat with the disciples during a terrible storm which threatened to take their lives. He told the storm to, “Be quiet! Be still!” Above the wind and waves… the noise of the storm… He spoke in a way which resounded. He filled the storm… and the boat… and the disciples’ hearts with His voice. And did it ever make a strong impression! Did it ever have a great effect! Immediately the storm died down around them, and the disciples were amazed at His power. And today, when you cry out to the Lord in distress, He will not only rush to your rescue, but He will also respond with a resounding voice on the way to calm the situation. So, stop… turn the ears of your heart and mind… listen… He’s headed your way… calling your name… reassuring you… and letting anything which is coming against you know that it’s time is up now! Stick with me this week… because what we will discover is that God builds on what He does when we cry out to Him in distress.